What makes a classic? A fragrance that transcends fashion and trends – because quite simply, it smells fabulous. So for our latest Discovery Box, we’ve curated some of the bestselling and most iconic fragrances around, alongside a selection of fragrances tipped as future classics. 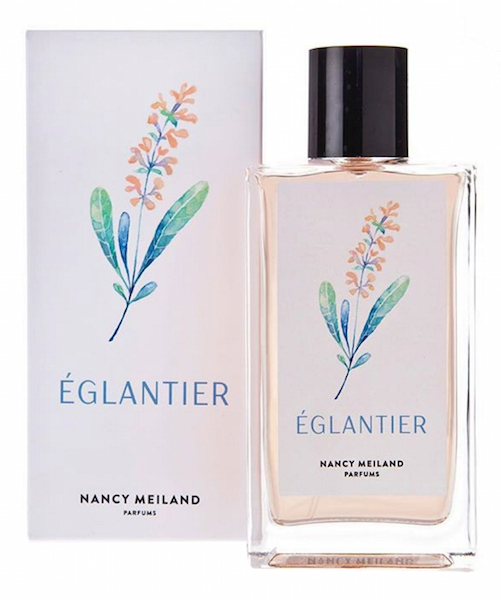 Names include Marc Jacobs, Narciso Rodriguez, Cartier and the Illuminum scent tsaid to have been worn by the Duchess of Cambridge, together with an adorable 5ml miniature from L’Occitane – their stunning, sun-drenched new launch. PLUS! Everyone who purchases a Modern Classics Discovery Box between 24th February and 7th April will be entered into a prize draw to win a full size of one of the featured fragrances and extras! Merely mentioning the word ‘aquatics’ in perfume circles has fragrance lovers getting all dewy-eyed (or, alternatively, chlorine-soaked and weeping bucket loads) at memories of the 90s tidal wave of easy-breezy ozonic scents: perfumes that conjure images of salt-tousled, home-highlighted hair and an all-pervading smell of melon and cucumber. Used by perfumers to give a stylised seashore waft of a faintly floral, watermelon purity at the heart of their compositions; Calone is weirdly similar to the structure of pheromones excreted by certain species of brown algae, which is undoubtedly fascinating but not the most romantic seaside image, so it’s no surprise advertising focused on salty, suntanned skin and sunset kisses. 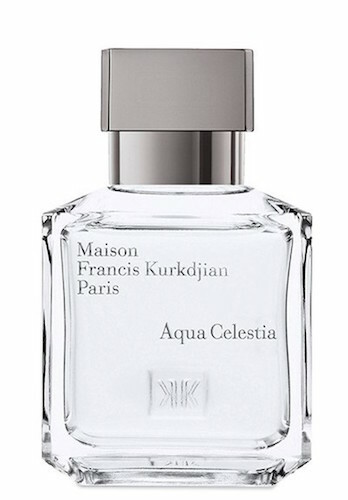 Calvin Klein’s Escape was a huge 90s hit, and it heralded an era of those tousle-haired beach-babes we so longed to be, taking the aquatic theme and plunging to the deep end as L’Eau de Bulgari, L’eau d’Issey, CK One and Acqua di Giò swam in similar – now unisex – streams. Some of those original blockbusters have more than withstood the test of time and are genuinely worth revisiting – Davidoff Cool Water (literally) springs to mind, as does the restrained genius of Issey Miyake’s L’Eau d’Issey and Acqua di Gio by Giorgio Armani: perhaps the olfactory equivalent of paddling in the comfort of an oft-repeated Friends episode – you might know what you’re getting but goodness it’s nice to reminisce, they were extraordinarily high quality, and still retain the power to make you incredibly happy. 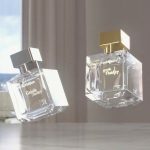 With the 90s revival having heavily influenced fashion for the past couple of years, it’s interesting to see that wave of resurgence has now reached the perfume world’s shores. With nary a hint of waxed-within-an-inch-of-their-lives Baywatch extras among them, these contemporary aquatics are less beach-body-ready and more about modern travellers exploring the world via scents that feel genuinely fresh (as in new, not simply refreshing) using clever Headspace Technology and ingenious ingredients to evoke unique locations that feel dewy, cooling and mysteriously alluring. Two seas perpetually meet within this ethereally beautiful evocation of Denmark. As the waves kiss, the tide withdraws to reveal a coral glow of ambrette with orange flower, jasmine and rosehips crystalised with salt. Wisps of incense drift down shore with a warm-skin snuggle of vanilla as the sun dips low. 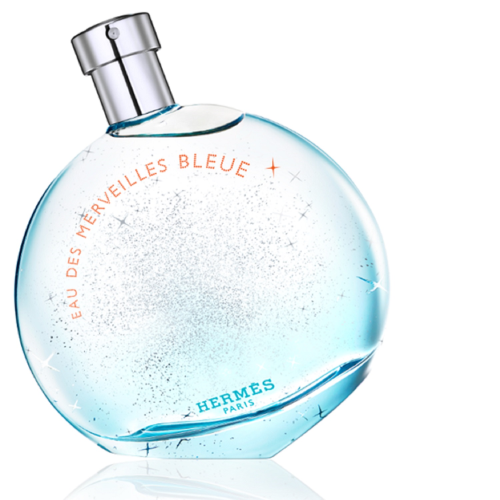 The sparkling original launched in 2004, for this latest fragrance perfumer Christine Nagel keeps the effervescence but adds huge amounts of space – a sense of crisp white linen, air misted with salt on the breeze, tears of laughter tasted on the lips and an indigo depth of patchouli and dry woods as it settles. Humongously green – a florist-shop explosion of freshly snapped stalks, fat buds bursting and white flowers tied raggedly with twine – this would fill an entire fairytale palace with its otherworldly life-force, and echoes of salty waves mercilessly crashing on rocks as lightning tears the sky assunder. That moment when the sea melts into the sky is expressed through the seamless serenity of transparent lime, a slowly exhaled mint melding with juicy blackcurrants, softened by blowsy mimosa blossoms and the clarity of white musk. An Event Horizon of celestial bliss and graceful escapism. 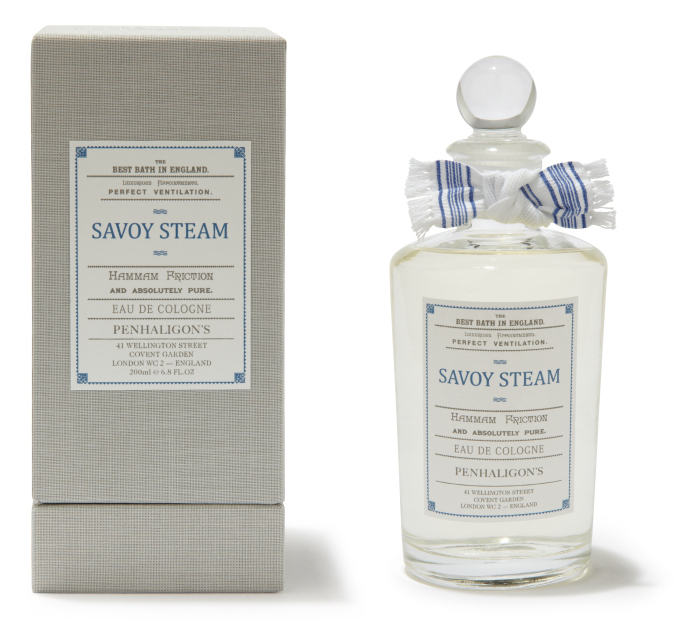 Harking to their barber shop heritage, Penhaligon’s invite you to take your ease with a wet plunge from hot to cold, the deeply cooling herbaceous notes of eucalptus and rosemary balanced with the clarity of lemon and fir balsam, patted dry with fluffy white cedar scented towels and a tingle of glowing incense. 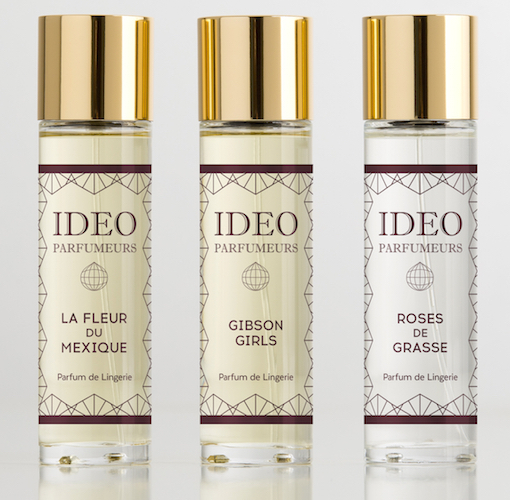 Two very exciting new opportunities have arisen to work within the very heart of The Perfumer’s Story and with scent mavern and fragrance designer herself, Azzi Glasser. 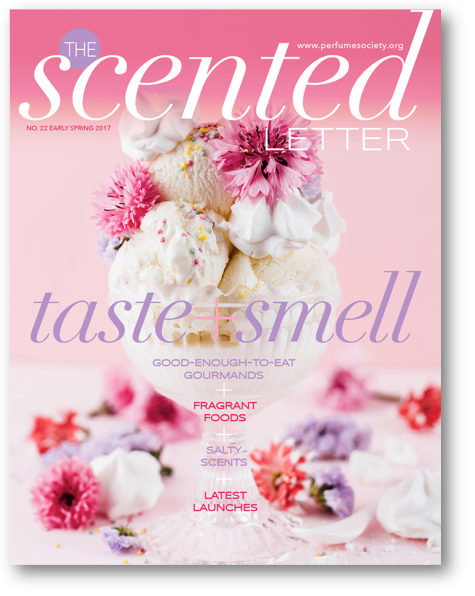 Our next issue of our award-winning digital magazine The Scented Letter – which is a VIP Subscriber benefit – will focus on Collectors & Collections. Without giving too much away, we’ll be sharing with you some of the world’s most coveted perfume bottles, alongside insider wisdom on how to become a collector of fah-bu-lous flacons. But on a very practical level, we’re also keen to hear how you STORE your fragrances – and/or the samples, perhaps, that you’ve curated from our Discovery Boxes. Do you keep them in a ‘shabby chic’ cupboard…? A bathroom shelf, or perhaps a pretty dressing table…? Do please share this widely, as not only are we fascinated by this through-the-keyhole exploration of our readers’ collections, but we think it’ll prove really inspirational. Take one precious jewellery name – the very first to open their doors on Paris’s Place Vendôme, now synonymous with precious gems. Mix in five perfumers whose names are almost as glittering as Boucheron‘s jewels – and allow them free rein with the costliest ingredients, sourced from exotic faraway lands. Think of Ispahan and we tend to think of roses – but the air of this sun-drenched Persian city (which is at the crossroads of the silk and spice routes between East and West) is also sweet with the quintessentially sunny scent of neroli. At the heart of Firmenich perfumer Fabrice Pellegrin‘s sparkling creation, discover resinous cistus labdanum, alongside piquant pink peppercorn. As with everything in Boucheron‘s The Fragrance Collection, the base thrums intriguingly, with Ambrox gently warming patchouli’s distinctive earthy-woodiness. Tuberose (an ingredient which stars in our next edition of The Scented Letter, by the way) was first cultivated in the city of Madras. In Christophe Reynaud’s hands, this exotic white floral is given a luminosity via cool, fresh violet leaf, accented by fruity passion fruit. Ylang ylang and frangipani, with its almond facets, deliver va-va-voom, with vanilla and sandalwood delivering a soft, sweet addictiveness to the tuberose absolute. A tuberose for tuberose-lovers – but with a clarity that those who aren’t converted to this uniquely heady bloom may enjoy, too. Another superstar perfumer, another stellar ingredient: Nathalie Lorson is the only one of the perfumers to have ‘signed’ two of Boucheron‘s new creations – a reflection of her exalted status in the perfumer firmament, perhaps. Iris’s cooler aspect makes its presence known, first of all – alongside a crunch of pear, the tang of mandarin – gradually softening on the skin to reveal its signature powderiness. Jasmine, almond blossom and heliotrope also feature (the latter ramping up its almond-iness), before the skin deliciously warms the base notes: patchouli, vanilla and an airy white musk – giving us one of the more ethereal creations in this line-up. Vanilla de Zanzibar is the second of Nathalie Lorson‘s beautiful confections for this Boucheron sextet – and while ostensibly this might lure gourmand-lovers (and won’t disappoint), its sweetness is just satisfying enough, without ever overwhelming. Jasmine and juicy pear (evidently one of Lorson’s signature ingredients, right now) contrast Bourbon vanilla’s comforting richness; for sure, there are caramel, syrupy, honeyed facets – but spices, to contrast, and the resinous warmth of Peru balsam. In the dry-down, white musks, sandalwood and patchouli underpin the construction – which sets out to evoke Africa’s ‘Wild Pearl’, the escapist island of Zanzibar, where the sky meets the sea. It’s a given that all collections nowadays must feature an oudh – but here, it’s handled by a master, wrapped in resinous elements with an incense trail, subtly sweetened by honey, and finally delivering a rich, saddle-room leatheriness. Tonka bean also features – and if you love oudhs, you’ll quite simply adore the opulent sophistication of this. As he explained to us over tea and scones at this collection’s launch at The Ritz London (hashtag #weloveourjob), IFF perfumer Jean-Christophe Hérault is obsessed by Egypt, travelling there several times a year. He’s especially fascinated by Ancient Egyptian perfumery and incense – notably kyphi, one of the mixtures burned to communicate with the Egyptian gods. Here, he introduces a modern version of Middle Eastern smoke: a note of narguilé tobacco smoke (often to be discerned in the air outside an Arabic restaurant). It surrounds the signature sweet amber with mystery; to us, Ambre d’Alexandrie is also the sexiest of the collection, hypnotising with ambergris, musk (the carnal, not the ‘clean’ kind), with cistus labdanum, benzoin and vanilla inviting you to spritz and re-spritz. And unlike a tiara, it can – like the rest of the collection – be worn and enjoyed every darned day. 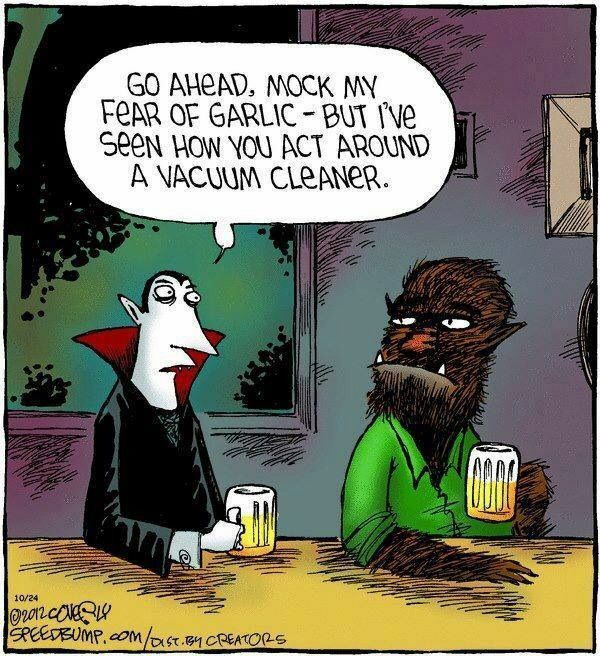 Although it may sound completely counterintuitive, results of a 2015 study by University of Stirling and Prague’s Charles University revealed that women who sniffed the heady scent of male body odour perceived it to be ‘significantly more attractive and less intense,’ when the men had eaten garlic. So that’s vampires bang out of luck, then. Previous research has shown that many animals’ noses are honed to select mates in the best physical condition, and therefore human noses might well be similarly evolutionary primed to seek out partners with the most promising whiffs. Something to think about the next time your special someone reaches for that extra slice of garlic bread. A collection to set pulses racing – featuring some beautiful ‘extras’ including a FULL SIZE body lotion from Judith Williams – Heaven Scents showcases dazzling examples of the perfumer’s art, including new-to-the-uk (and currently only available online) Map of the Heart! 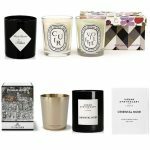 Expect soft florals and subtly juicy fragrances from niche and designer houses delivered direct to you. Remember: everyone who purchases a Heaven Scents before 3rd March will be entered into a prize draw to win a full size of one of the featured fragrances or extras! Forgot the card? Panic over, as Penhaligon's invite you to create a virtual Valentine's bouquet! When you’ve selected three flowers, you are guided to the next page where your virtual bouquet is assembled, ready for you to present via email. Ta-da! We just love the dreamy vintage-style illustrations – and that you get to learn a little of this “secret language” (so beloved by the Victorians, in particular) of flowers and their possible hidden messages. Even better – everyone who sends one of these virtual bouquets will be entered in with a chance to win the Penhaligon’s Portraits Collection. And once you have sighed in contentment (and relief) at having saved the day, you can see which of the Penhaligon’s perfumes would best be suited to the flowers you chose for the bouquet. Far from a lost opportunity, and depending on how well the recipient receives your e-card, it might turn out that your forgetfulness might end in a fragrantly wonderful win/win! Now then, we wonder: who will you be sending yours to…? It’s always more than simply perfect packaging at Jo Malone London, of course, but my goodness isn’t it lovely when the box is as fab as the contents? We are loving the denim design by British renowned florist Philippa Craddock. And the contents? 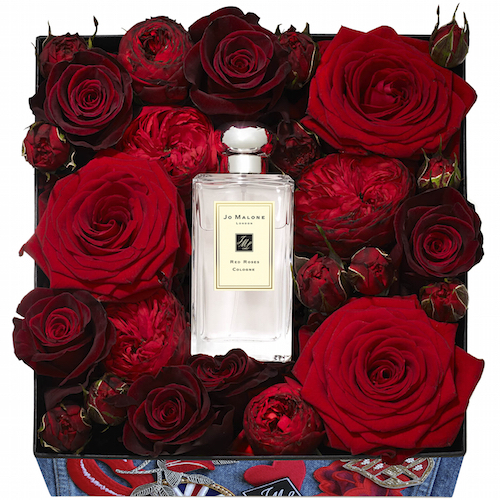 The classic Red Roses perfume nestling on a bed of freshly cut blooms. Serious “wow factor” and the scent of roses with a breeze of lemon and violet will far outlast the beautiful bouquet itself. Would you choose a perfumed passion or scented sensuality? Well with Ormonde Jayne you can have both! Originally launched as Russian exclusives, now we too can luxuriate in lurve. Passionate Love fizzes with energy – it’s Champagne sipped straight from the bottle to catch the foam, and then a merry barefoot romp through meadows, picking armfuls of fresh flowers, skinny-dipping in icy streams, shared laughter in bright sunshine. With oodles of warm neroli sprinkled with nutmeg and corriander seeds, it’s the swooning, classically-inspired heart of white flowers garlanded by osmanthus and violet that we fell hardest for. A graceful mix of white flowers including jasmine, gardenia, white iris and peach for the powdery facet. 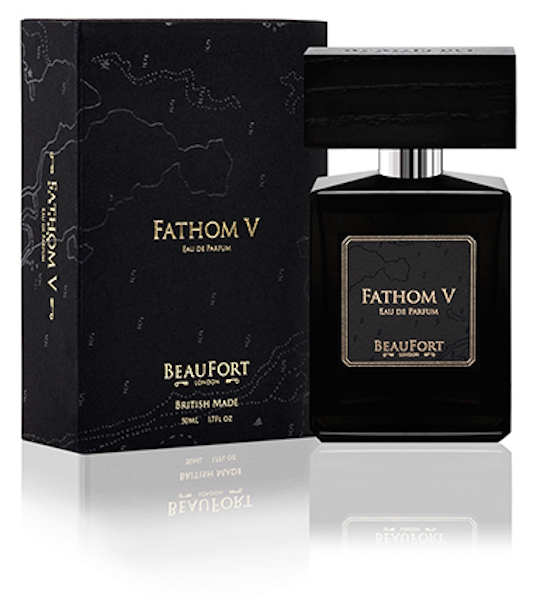 Classic, with a twist of geranium, cassis, orange blossom and coumarin. A celebration of the most glamorous of white flowers. The creamy fragrance has been called ‘the sexiest scent of all time’ and this particular tuberose is the night scented variety from Mexico. Smooth, sensual and narcotic. The ‘Queen of Flowers’ – delicate and feminine, rosa centafolia has grown in the fertile soils of Grasse for centuries. Its scent cannot be beaten for sheer unadulterated beauty. Satin soft, feminine and timeless. ‘Stay in bed!’ So say the people at Miller Harris, who put together a cute animation giving us just this advice for use with their Valentine’s Day limited edition candle. And who are we to argue with such wise words? 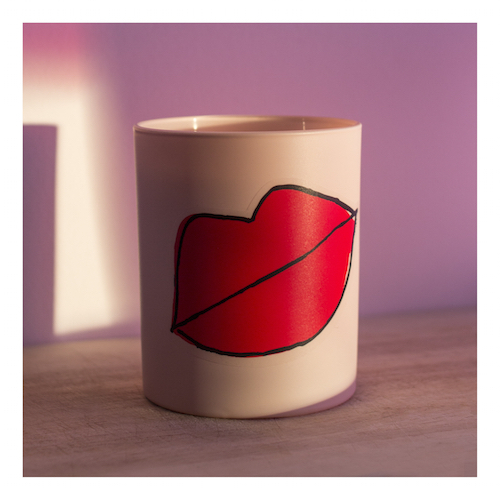 A collaoration with artist Laura Quick, the candle comes with a range of transfers and so can be emblazoned with luscious lips, winking eyes and a cheeky ‘merçi’ among other options. Turn off the lights and breathe in the scent of gentle roses wrapped in the soft, juicy tang of blackcurrant and mandarin. Calice Eurostarred into London for the flower-filled launch, charming us with her easy manner and love for her work. In Terre de Lumière, she contrasts aromatic, fresh lavender, pink pepper and bergamot with sweet elements to create L’Occitane‘s debut gourmand perfume. 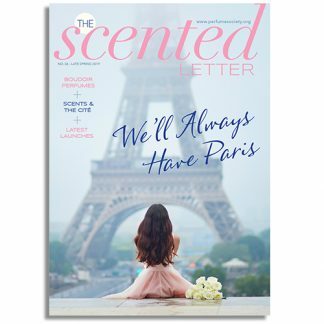 Ambrette seed and acacia flower are drizzled with honey, with bitter almond taking the edge off the sweetness, and a final flourish of tonka and musk. The heart of my perfume memories begin with my mother. I was four years old, getting out of a bath. She opened a bottle of eau de Cologne and applied it to me. I was fascinated and curious about the smell. So I asked her how it was made. She said, ‘It’s made from flowers…’ But I couldn’t see the flowers in the bottle! I couldn’t imagine how the flowers got into the bottle and got out, dispersing this beautiful smell. I was very confused, and I kept asking, and asking her questions. She said: ‘You will understand it later, when you get older.’ So I give credit to my mother, who helped me find my calling. She told me I should become a perfumer, a ‘nose’, after she recognised how sensitive I was to smell. When I was very little, she realised that I couldn’t recognize people by name but, only by their fragrance. What I meant, and what she understood later, was that they were wearing the same fragrance. My scent memories as a child show my curiosity and learning that started with the illusion of flowers inside a bottle. I continue to feel this way today, in my daily life. I’m constantly discovering ways of translating emotions that fit inside a bottle. As perfumers, we have the right resources and knowledge to reconstruct these feelings. • Lily of the valley. The smell of hospitals. It is very unpleasant and associated to sadness. The first fragrance I bought for myself was Dürer by Dürer, while the first fragrance someone gave to me was L’Artisan Parfumeur Eau de Pamplemousse. The bottle of Dior J’adore is outstanding, timeless, just beautiful. Otherwise the bottle for Nina Ricci L’Air du Temps is one of my favorites. It is at the same time aesthetically beautiful and highly symbolic. 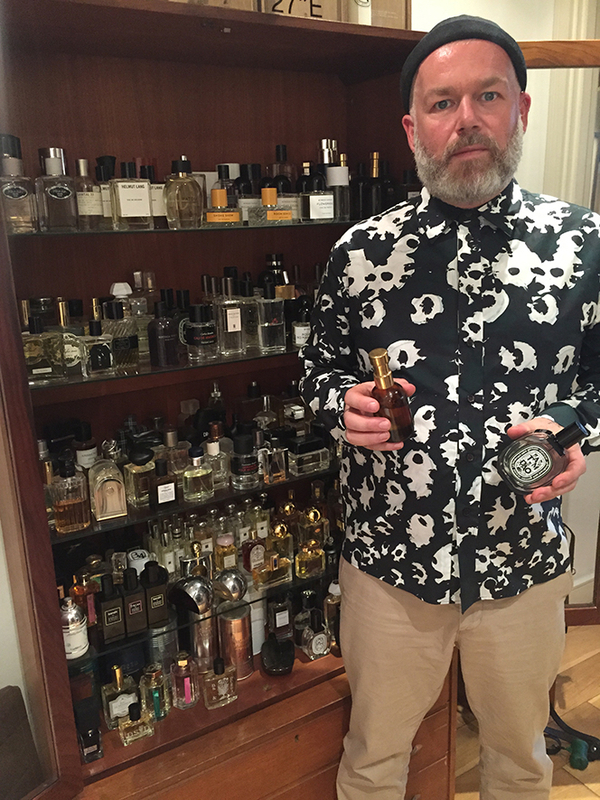 I’m usually working on four to eight perfumes at the same time. It depends. It usually lasts from three months to a year. Is creating a fragrance visual’ for you, as well as something that happens in the nose/brain? If so, in what way…? Is a mood-board helpful? For me, a fragrance is at the same time visual, tactile and auditory. All the senses can help translate the olfactive emotion. A mood-board can be a starting point in a creation, as well as a harmony, or a texture.